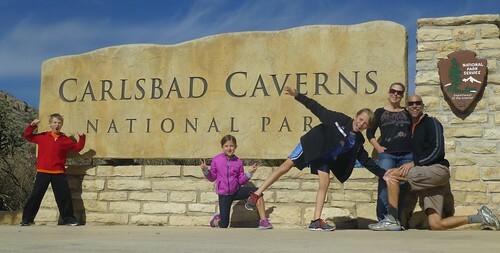 Okay, so Carlsbad was pretty cool! The lame part was Dacen speeding to get out and Brielle dragging her feet. At least we got to drop them in the bottomless pit thats really only 140 feet deep. Alright… We didn’t really get to drop them. That would’ve been against the rule no touching the formations. We saw a whole lot of formations! 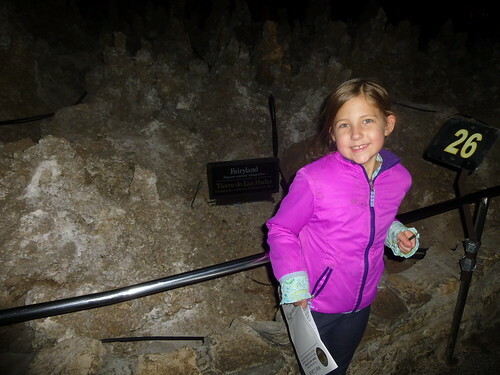 Here’s a list: stalagmites, stalactites, stalagpipes, and stalaclights. They were all really cool. 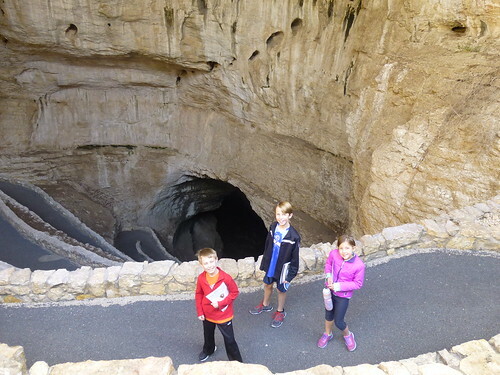 I learned that it is very important that the national parks are protected, because God forbid, if they weren’t, there would be bathrooms and drinking fountains in the heart of the cave as well as a snack bar that sold sandwiches and 99 cent cookies. Man THAT would be horrible. People are weird sometimes. Caden: a.k.a lieutenant Ellsworth Bertholf<– inside joke. 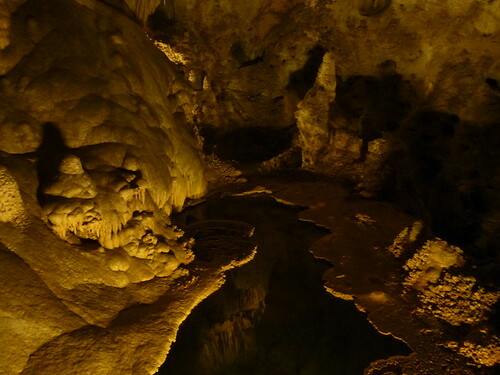 In Carlsbad Caverns I saw a soda straw (formation). I saw A lot of things. It was a long way to hike. We went to the big room. 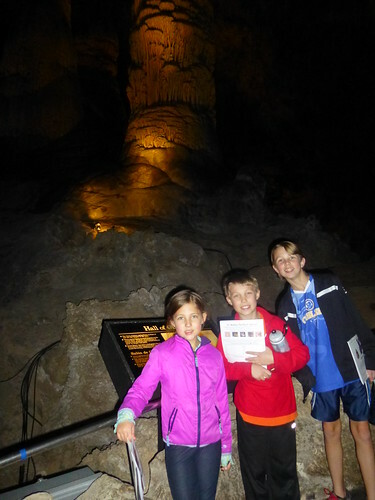 We saw columns and stalactites. In the big room we saw Fairyland. At fairyland my Papa teased me that fairies live there. I laughed and laughed. It was so cool !!!!!!!!!!!! I loved it !!!!!!!!!!!!! Wow I am using these !s’ seriously !!!!!!!!!!!!!!!!!! 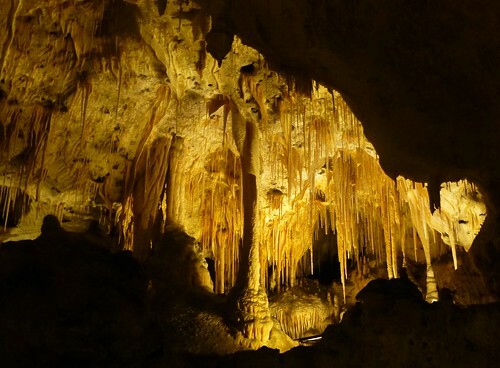 I love Carlsbad caverns !!!!!!!!!!!!!!!!!!!!! At the gift shop I got a stuft animal bat!!!!!!!!!!!!!!!!!! Rocks are a solid!!!!!!!!!!!!!!!!!!!!!!!!!! You make crystals out of liqids!!!!!!!!!!!!!!!!!!!! It was dark in there but there where lights!!!!!!!!!!!!!!!!!!! Before we went in the cave we ate lunch. My papa forgot my lunch. so I had to eat my papas’ chicken & carits.I saw a few crystals. That is, I got no crap on me, Ava or the ground during my first solo dump of the tanks. Movies like RV with Robin Williams can freak a guy out about all the bad things that can happen when emptying your tanks. So, as an engineer I made sure I understood the system as a whole. I read a lot of instructions on proper technique and how to avoid contamination of everything but the sewer hose. 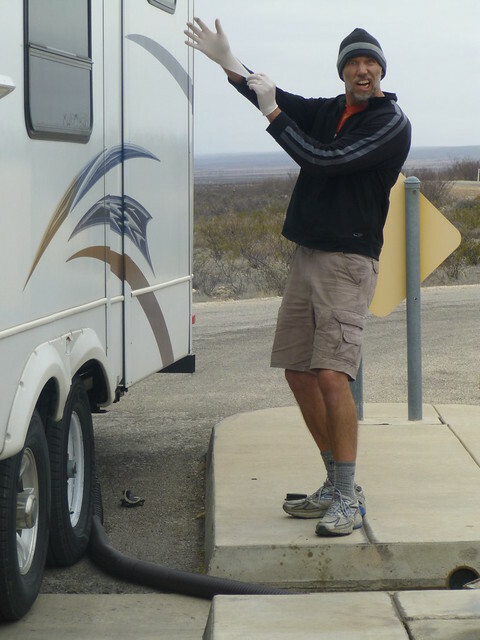 And I watched an inordinate number of Youtube videos on RV black tank mishaps and how to avoid them. My biggest concern was that there would be pressure from a line of people waiting to use the dump station. But when you are at a state park in the New Mexican desert, in January, on a Tuesday you pretty much have the dump station to yourself. Dacen turned 10 today…double digits! 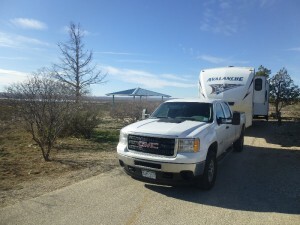 We woke up to a beautiful morning camped here at Brantley Lake State Park just north of Carlsbad NM and had donuts for breakfast (birthday boy’s choice). We packed a lunch and headed to Carlsbad Caverns. 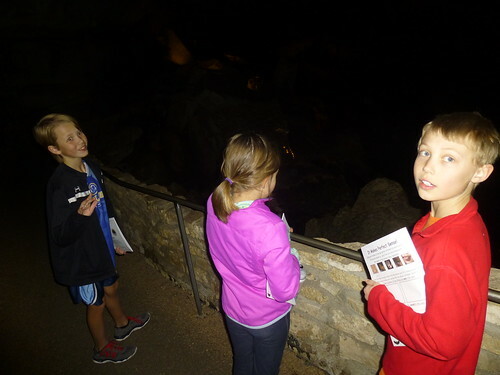 Since Dacen is in 4th grade this year he gets an annual pass to our national parks…so, our cavern entrance fee was waived! We enjoyed lunch outside in the sun. 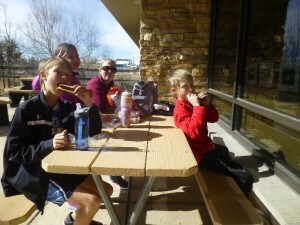 Its January and NM is known for high winds, but it was actually really nice for a picnic. 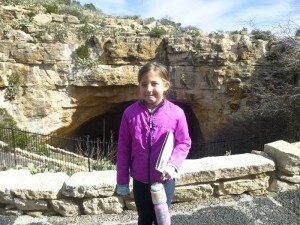 Then grabbed Jr. Ranger books for the kids and headed to the natural entrance. 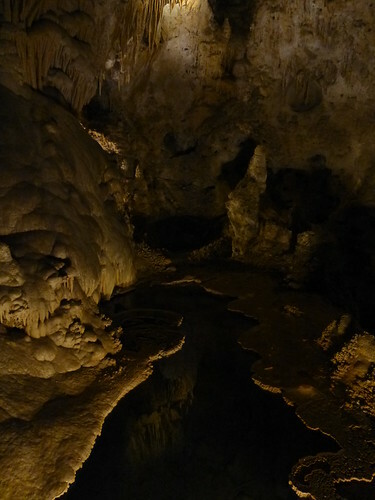 If I was ever a park ranger I think I’d really enjoy a stint at Carlsbad Caverns. I love the desert mountains, the remote location and the cave itself is just so stinking big. 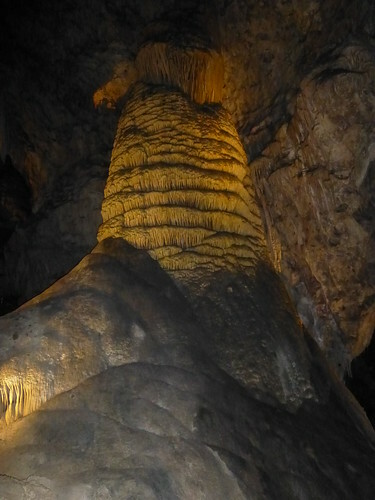 And the formations never cease to amaze me. 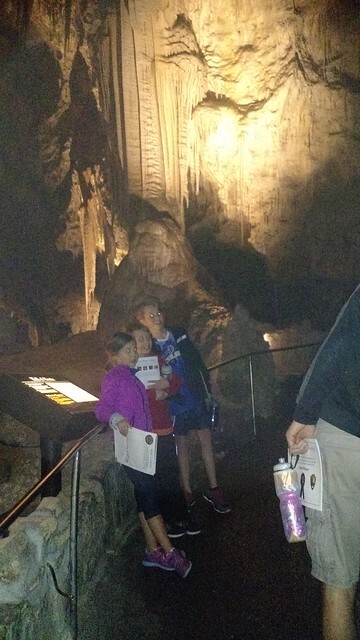 I’ve been through the main caverns probably 6 or 7 times and every time I have ridden the elevator out of the cave. But this time the elevator was not an option….it was out of order. So we walked out the natural entrance which was a super cool bonus. If you’ve ever been in a wild cave on your own you know how easy it is to get lost because things look so different on your way out of a cave. 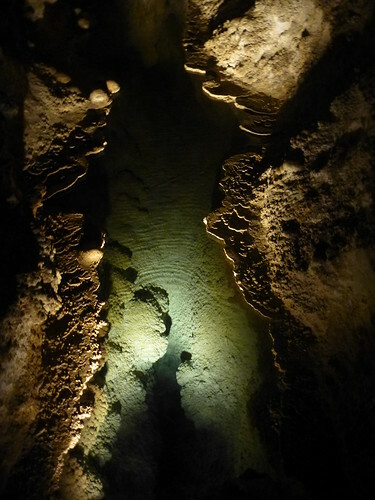 The paved path and handrail made getting lost pretty hard but it still looked so different on the way out….like two caves for the price of one (oh wait, we didn’t pay any price to get in today!!). On our way out a little man in a helmet passed us on his way down into the cave. He was looking down but said “yer on the home stretch” in a cheery voice. It took my brain a bit to process all the info but I turned around and said, “is that Mr. Bemis?” to which the man replied, “couldn’t be….they wouldn’t let that guy in here”. Sho nuf!! It was Tom Bemis. Oh, you don’t know who Tom Bemis is? Let me tell you. 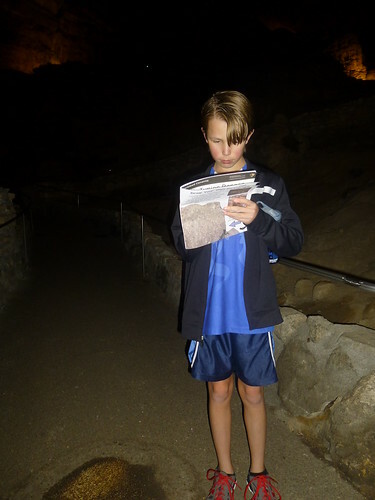 This guy has served Carlsbad Caverns since, well, I don’t know but its been a long time. 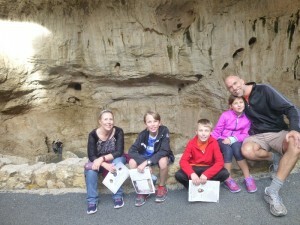 There are several wild caves you can get access to on your own….but some require a ranger to go with you and Tom Bemis led me and my buddies on a trip through Ogle cave. This guy is TOUGH and, despite his back/spine injury, can jug up a rope out of a cave faster than I’ve ever seen anyone go. 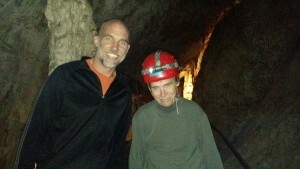 Tom retired in 2009 but now works as a consultant….he was supervising the electricians working in the cave today. Brielle was nervous during our trip into the cave and around the Big Room about the fact that we had to walk all the way out. She asked if I’d give her piggy back rides on the way out. 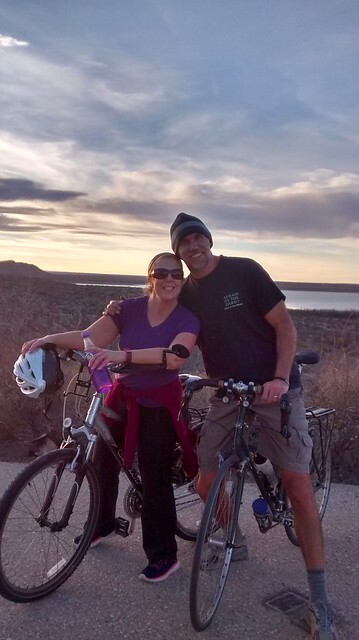 But once we got started up she did great….never once asked for a ride on my back. 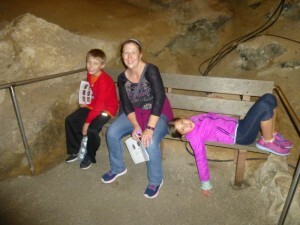 Its quite a hike out of the cave but with a few rests along the way we all made it! We came back ‘home’ and Steph made biscuits and gravy for dinner (the birthday boy’s choice). He wanted mystery cake too but it was late and so we’ll try that for tomorrow night. Tonight we sang happy birthday to Dacen over a dish of ice cream and a Girl Scout cookie. Dacen said, “this was the best birthday ever!” I agree. 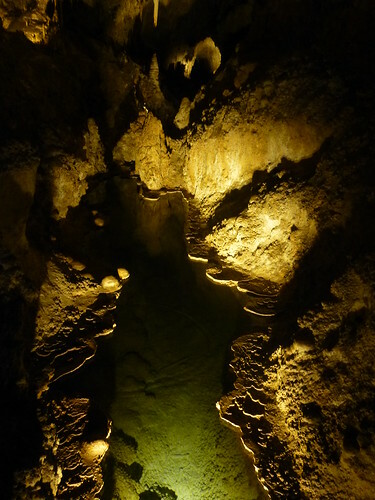 Two spelunkers walk into a bar and order some drinks and Carl the bartender says “we don’t serve spelunkers here”. The two spelunkers beg for him to pour them some brews and Carl finally gives into their plea to which the two spelunkers respond “Carl’s bad” as they high five each other. Carlsbad NM is a place of many fond memories for me. Growing up we made several trips here to visit family. In high school we visited during Thanksgiving one year because I was really into caving and hadn’t been to the caverns since I was a wee one. Then in college my good friends, the Dogs, made numerous trips to the area to explore as many of the wild caves in the Guadalupes as we could get access to. I brought Steph here when we just had the two boys. I’ve stayed in motels, dumpy motels, tents in town and tents in the backcountry. But this time its all 5 of us and we’re staying in our little home on wheels! After setting up the trailer we went for a bike ride around the campground, played at the playground, and watched the sun set. Then we turned around and watched the big ol moon rise up out of the ground. For seasoned RVers its probably no big woop, but I’m still very green. It blows me away that we have all the conveniences of home: electricity, heat, water, hot water, and internet. We ate a nice hot meal together on real dishes and now the kids are watching a movie. Now I have to buckle down and do some work…anyone ever use the Levenshtein distance before?